Sounds great, yes I was there for a two day event in 17, they had a one day event last year and a two day event this year. I ride a lot, did 19 days last season. That suspension looks s3xy. Are you doing the rear as well ? Yes, thats not ordered yet. 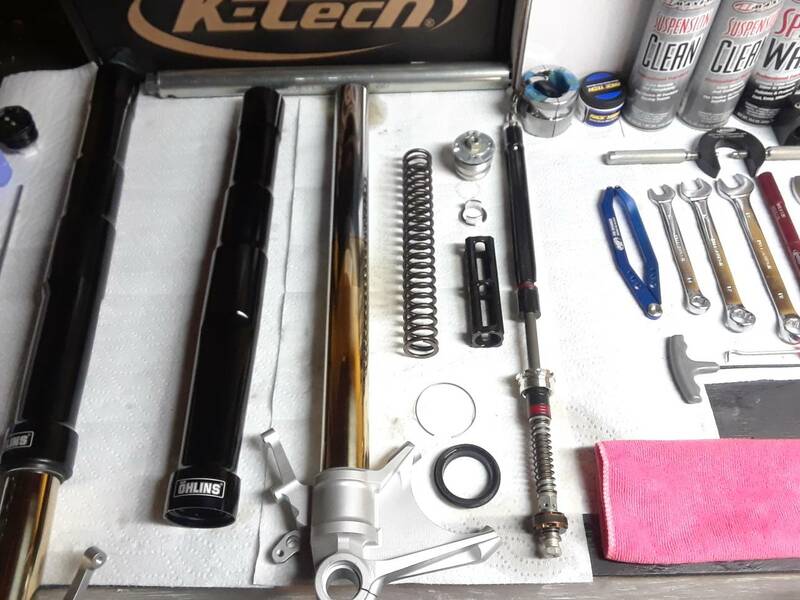 If you noticed one of the other threads in the forum i was trying to get a hold of the used sbk shock but guy only had acess to new which is wayyy out of my budget. So looks like ill be sticking to the ttx! I think this will be a nice bike good luck and happy assembling. Busy day, finally home and just finished doing a quick polish so i could take pictures. Ill scrub it again and make it perfect before it goes on the bike for good. Any ideas on how to jack the engine up? 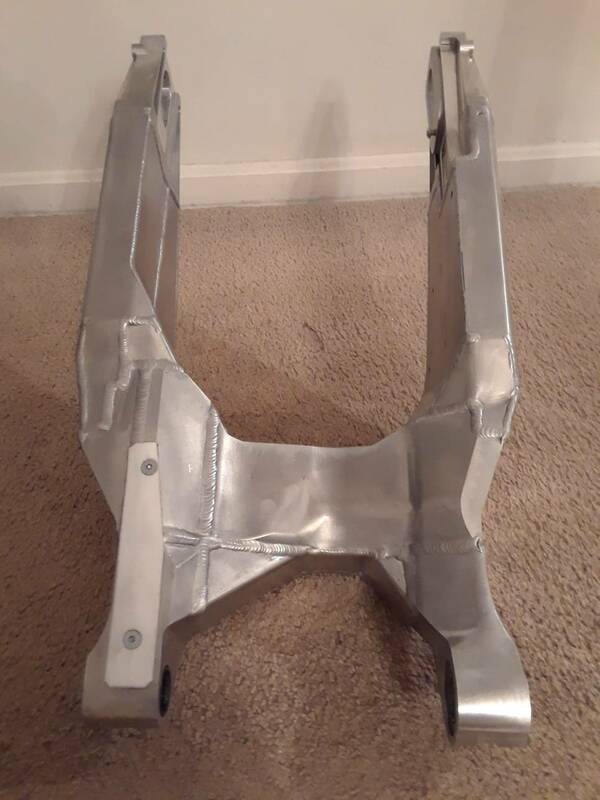 i ordered the sato racing "frame" sliders and thinking about putting jack stands under those in conjunction with the front stand, but they wont be here until a week id say, we shall see how paitent i am. But anyways, here it is. 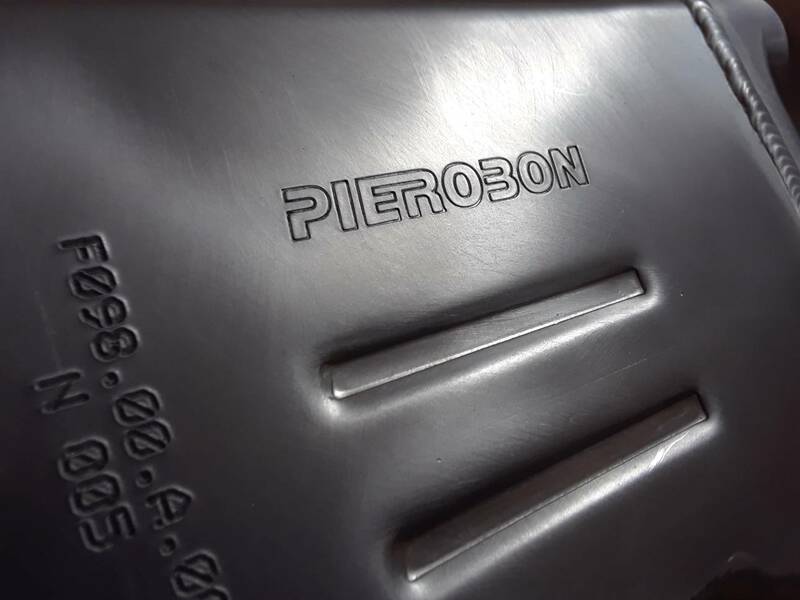 The Pierobon swingarm. 10% reduction in unsprung mass, weight is shifted toward the pivots for a lower center of gravity and more centralized mass. It also increases rigidity for an increased feel in the rear wheel. Other than all that stuff we may never notice, most importantly it just looks like something straight out of MotoGP. I love the design, I love the engineering behind it, i love it the italian/ducati background being made in Borgo Panigale. Ive always wanted this look and never thought id get it. Hope you all enjoy looking at this hunk of metal as much as i do! 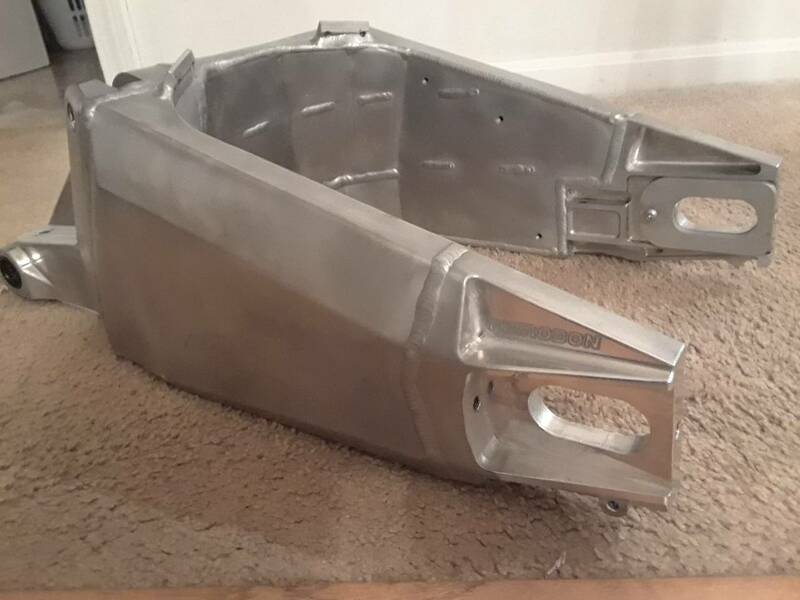 If you havent noticed by now i have a thing for shiny aluminum LOL. Amazing build JC. That Pierobon swingarm is sick! Thanks guys! Very happy i got the nickel coated brembo rear caliper it looks like it was made to go with the swingarm. Although i might paint the axle blocks and caliper bracket black to break up all the alumium. Pierobon also does that, see their pics, i think it works. Very minor update: since i am waiting for some orders to process and this isnt something people do very often (im assuming?) i figured i share the experience. I took apart the OEM axle last night. Never seen the axle blocks threaded on to the axle before. Its a good idea, but a PIA to take off if you ever need to if u dont have the tools. 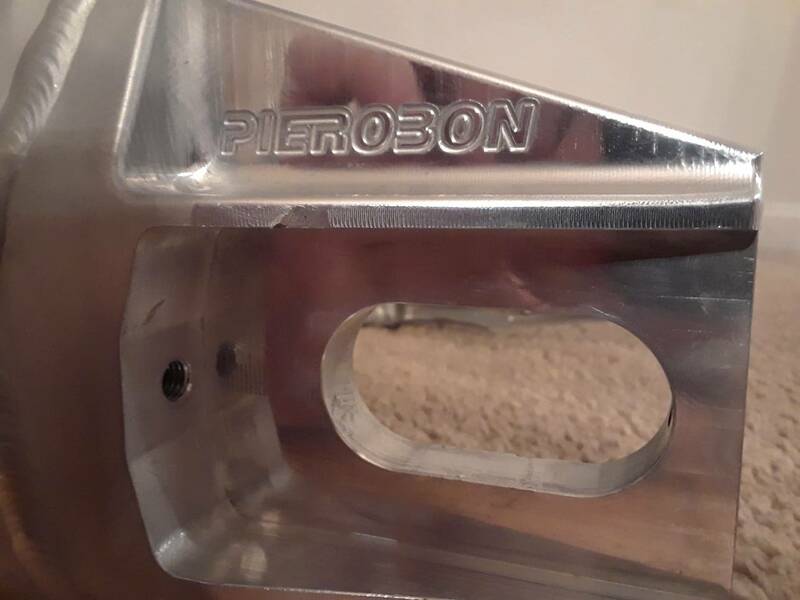 FYI - Pierobon swingarm does not accomodate the stock axle. The kit i have uses their axle with OEM blocks. 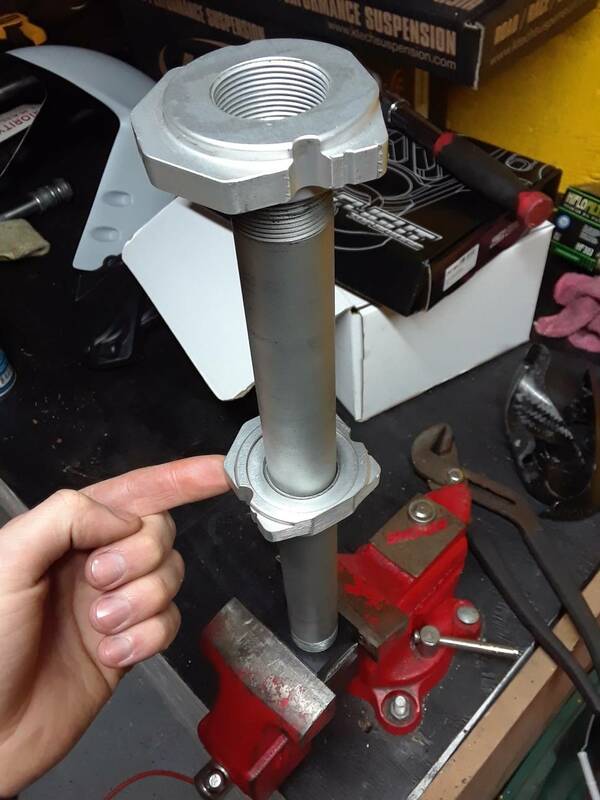 For whatever reason you need to seperate the threaded axle block from the axle, here is how its done. I dont know if theres a specific tool, but it would be the same as a fork cartridge holding tool. Place the axle in the tool, and clamp it in a vice. 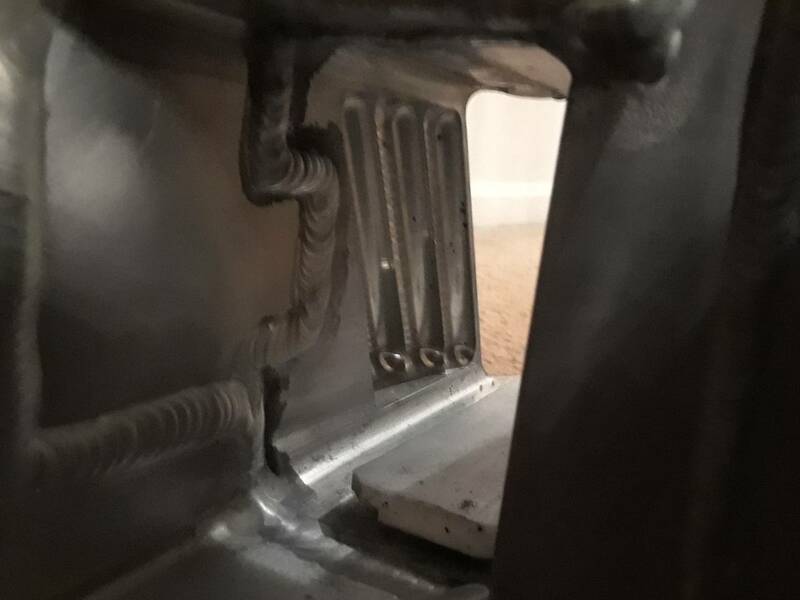 Take your heat gun and cook the block, the loctite they use is like cement. 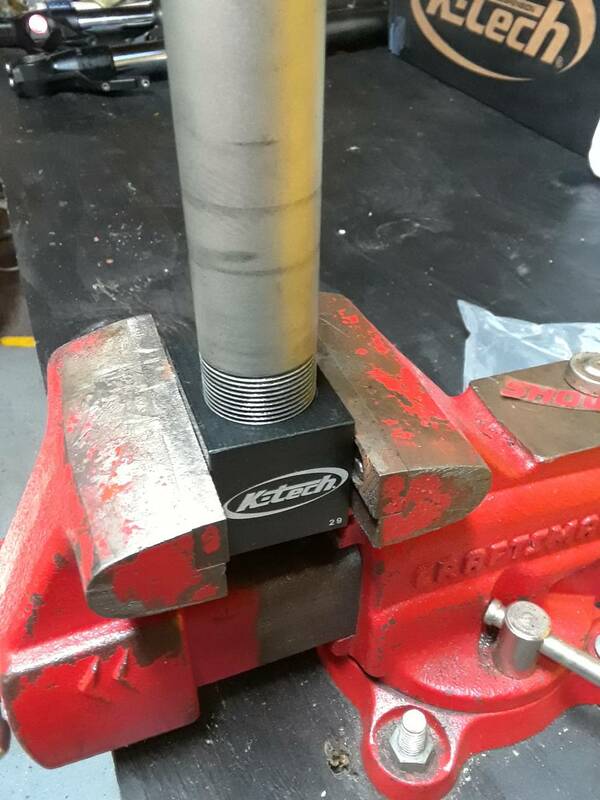 Now twist the block off, if it doesnt move with about 20 ft lbs of pressure, heat it more. 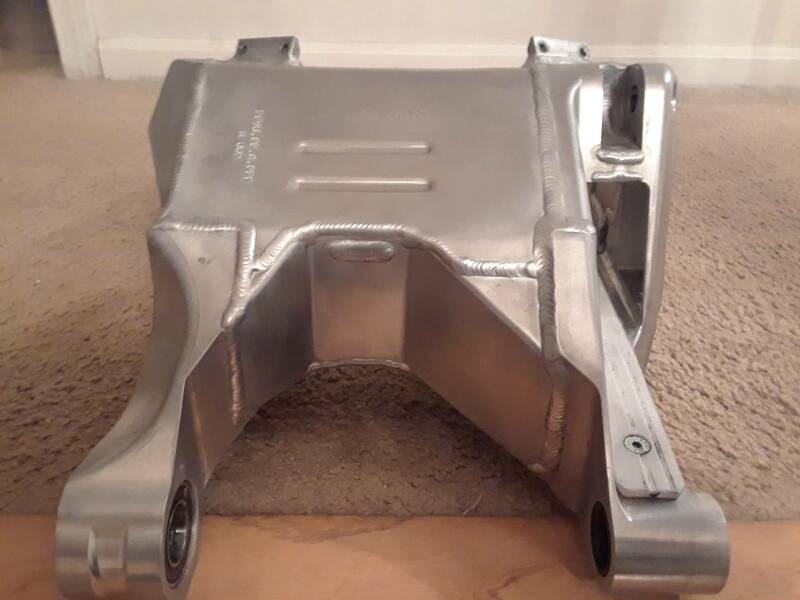 (Probably best to use a really big adjustable box wrench because it doesnt have teeth that will mar the block) i used channel locks because i didnt care, this part will be hidden by the swing arm anyways and i dont think i have a box wrench that big. If you were like me and used pliers that left marks its a good idea to file these smooth that way they dont catch on the surface of the swingarm when moving the wheel back and forth when adjusting the chain. Any updates?? I wanna see that swingers on the bike! Nothing new yet, still waiting on sliders to arrive to put the bike on stands. only way i can think of to get it supported to do the swap. 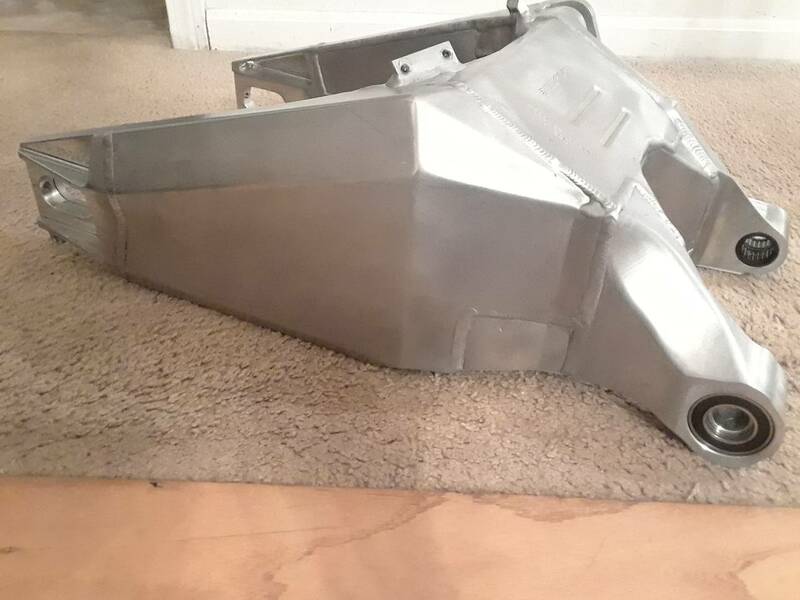 I was going to tear apart the ohlins in detail the other night, but got busy so thatll probably be posted over the weekend. Hopefully it will be useful for people on the forum! As soon as i have updates or more parts itll be on here (getting delayed on the wheels and shock at the moment be patient with me) Thanks for checking back! Hey everyone, just wanted to update you guys. 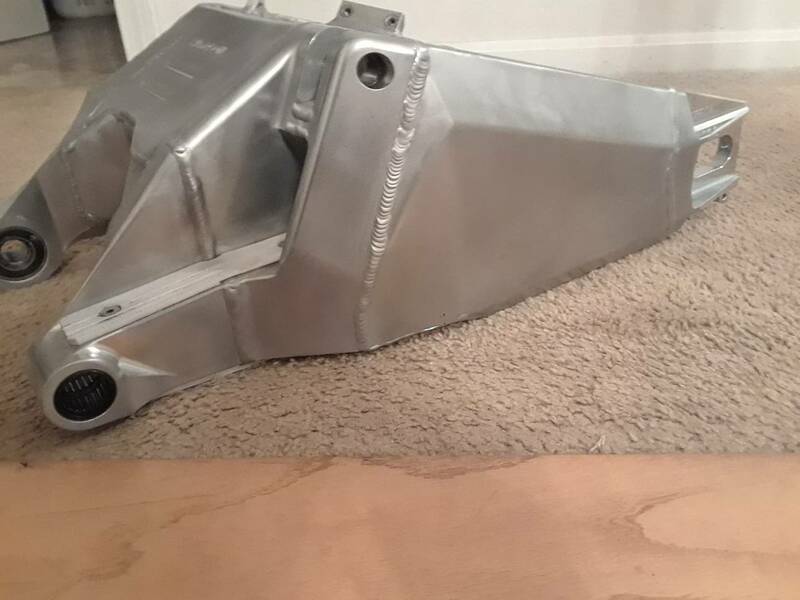 My slider kit is in so im ready to jack up the rear and do the swingarm. I might put off doing it for a few days just because of my schedule. I did start diving into the Ohlins the other night. I have all my bushings, springs and shock finally on order so expect the shiny parts to start to rolling back in after this short little break. 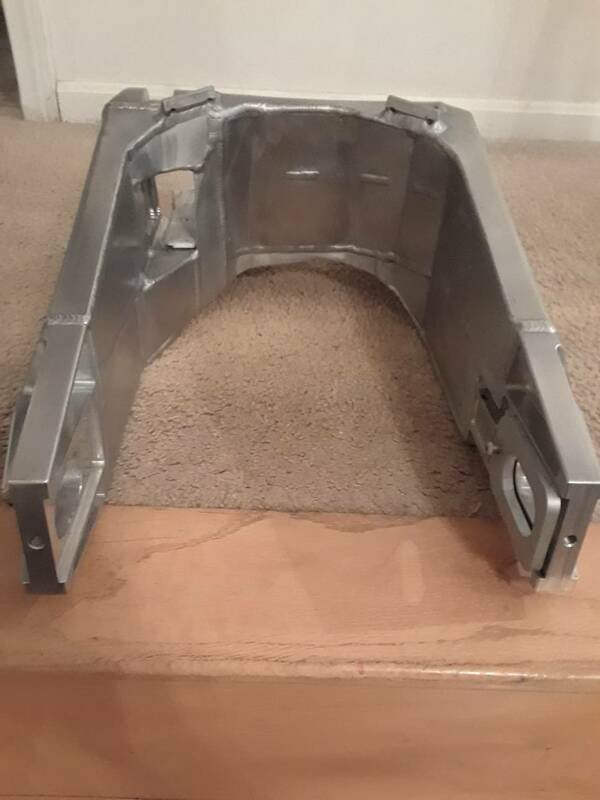 Below are the internals of the FGRT fork, I will document how to do a full rebuild and include all pictures and other work that can be done to them once all my replacement parts are in, I will post it in another thread as its usable to anyone on here running the FGRT series not just us 959 guys.